• Time-saver: Spend less time on linen care: no need to go to the dry cleaner and no ironing board required. Fast heat-up time means G334 ready to use in just 60 seconds. 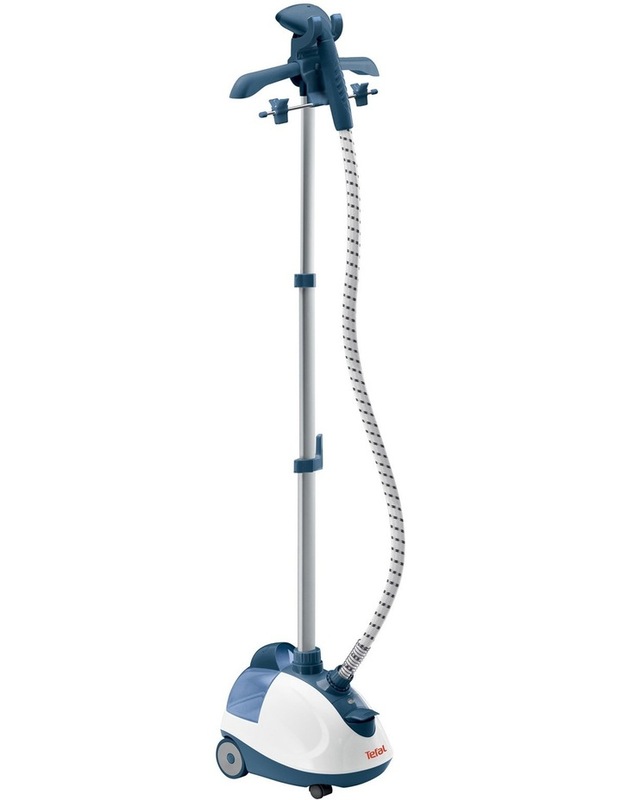 • Ease of use: Simple foot-operated on/off pedal and 1.8 L removable water tank that allows up to 60 minutes steaming, perfect for intensive steaming sessions and last-minute touch-ups. • Easy transportation: Features foldable & removable hanger and wheels for easy transportation. • Refreshes & Sanitizes: 1500 W of power and steam output of 30 g/min allow deep diffusion through the fibers to refresh and sanitize all kind of garments. • Adapted to all fabrics: You can use your steamer on all types of clothes, even the most delicate, as there is no risk of burning.